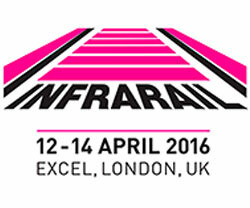 Come and see Green Trough at Infrarail 2016! This entry was posted in News and tagged Cable Trough System, Concrete Trough, Furukawa, Health and Safety, Infrarail, Infrarail 2016, Lightweight Cable Trough, Plastic Trough, Polymer Trough. Bookmark the permalink.